An average t-shirt goes as unnoticed as the lack of punctuation in a text. But, as always, there’s a lot more to it! The story behind our T-Shirts have given rise to some fantastic article titles like “The Cotton Crime: Dirty White Gold” and “The Truth About Your T-Shirt Will Give You Nightmares” but I’ll spare you the horror of reading those and give you my (as objective as possible) perspective on it. Raw Material: The majority of T-shirts produced today are made of cotton, polyester, or a blend of the two. Unluckily, neither of the two are ethically produced. To say cotton is a thirsty plant, would be an understatement. An average cotton T-shirt consumes 2,700 liters of water in production. Half of the world’s cotton is produced in India and China where health and safety guidelines are loosely monitored and implemented. This means that farmers use pesticides and insecticides as per their discretion, which has resulted in excessive use of the same. Only 2.45% of the world’s land is under cotton production but it uses 16% of world’s pesticides. 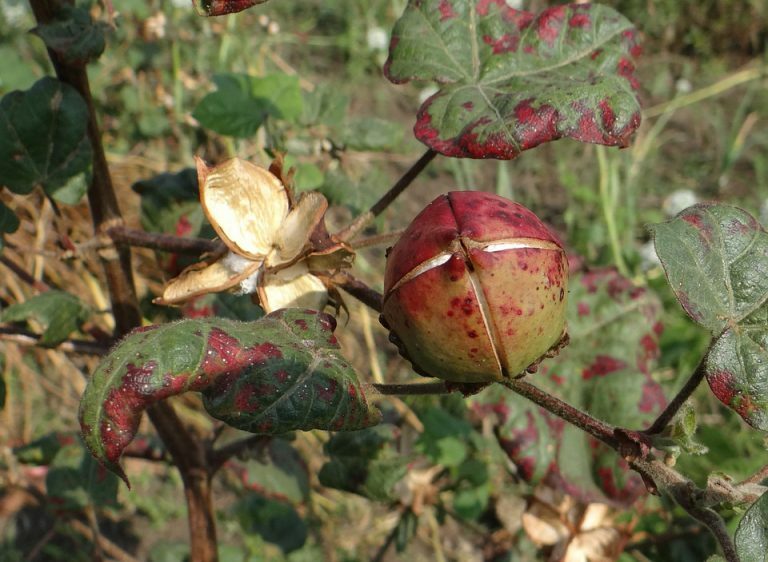 It is unbelievably detrimental to the health of farmers, the communities living near cotton production, and those consuming water contaminated by the run-off from farms. But if you look at polyester, cotton does seem to be the better of the two. That’s because polyester is a petroleum-based fibre that works essentially like plastic. It is non-bio-degradable, non-renewable and carbon intensive. Annually, 70 billion barrels of petroleum go into polyester production. The story of polyester worsens because with every wash, the fabric sheds up to 1800 tiny micro-plastic fibres that reach the ocean and harm sea creatures. Even the chemical dyes, equivalent to excessive pesticides used in cotton, run off into water streams that pollute larger water bodies, risking both human and marine life. So, what should companies use? What is the ethical choice? What is more sustainable? The answer is organic cotton. Unlike conventional cotton, organic cotton consumes up to 70% less water, and next to no pesticides. WWF has partnered with initiatives like the Better Cotton Initiative to teach farmers in developing nations to grow better organic cotton. 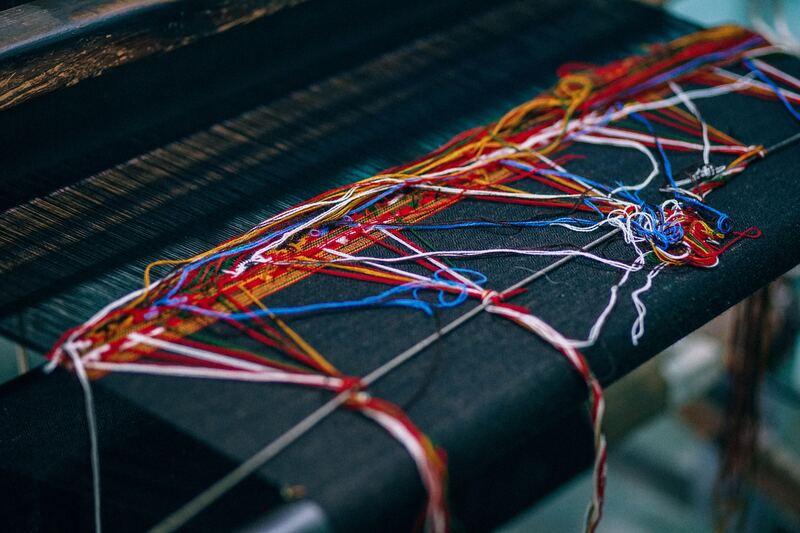 Fabric Production, Dyeing, and Finishing: The next steps are to turn the fibre into a yarn, the yarn into a fabric, dyeing the fabric into various colours, and finishing the fabric so that it’s ready to be cut and sewn into a shirt. The process of turning fiber to yarn is called spinning and that of turning yarn to a fabric is knitting. As of today, the most common technique of spinning is ring spinning because it’s the most efficient and detailed technique available, but it uses incredible amount of energy. One can only hope that the science gods are working their magic and looking for better less energy consuming techniques but till then, the mills stick to the trusty ring spinning. There are two kinds of dyes, ones that are natural and don’t harm either humans or the environment, and the ones that are synthetic or contain chemicals. Even if natural dyes make their way to the water streams, they do not pollute them because inherently they don’t contain toxins. Obviously, the former is preferable because they are safer, they do not pollute water, and do not risk skin diseases but then the question arises, why do companies use and produce clothes with synthetic dyes? The answer is fast fashion, consumer preferences, and cost. A good thumb rule is that if a colour doesn’t commonly occur in nature, it’s dye will be synthetic. With the variation and range that is demanded of producers in this age, to keep us with the trends, manufacturers are not hesitating in providing innumerable shades that cannot be made with natural dyes. Moreover, it is also cheaper to source chemical dyes, and given that companies don’t fear being held accountable, and aren’t forced to take responsibility, it is easy to use chemicals and dump them into oceans. 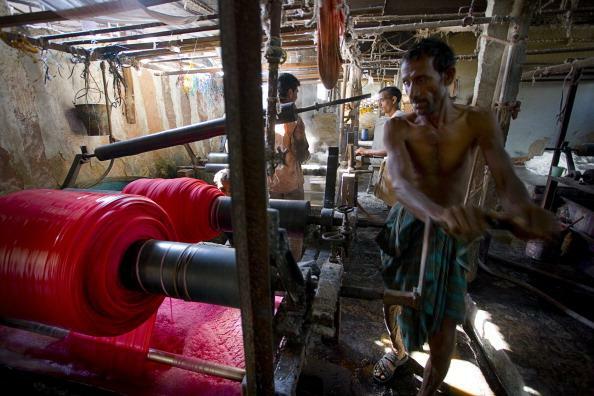 The world bank estimates that at least 20% of water pollution can be amounted to textile dyeing only. It is safe to say that buying clothes made with natural dyes is recommended not just for the environment but for one’s own health as well. Cutting and Sewing: Onto the final stage of the making of a T-Shirt. As the name suggests, in this stage, the fabric produced is cut into desired shapes and sewn together to make the final product. What we are interested in, is the “scrap” fabric we get as byproduct and the standard of living of factory workers. On average, 15% of the fabric ends up as scrap, and almost all of this fabric ends up in landfill or is burnt. So, if we take MIT’s estimate that annually 400 billion square meters of fabric is produced, 60 billion square meters is wasted each year just from factory scraps. The fabric we produce comes at a very heavy environmental cost and honestly, the way we treat it, it is a shame. What’s even worse, is how we treat the people who make the fabrics and clothing. 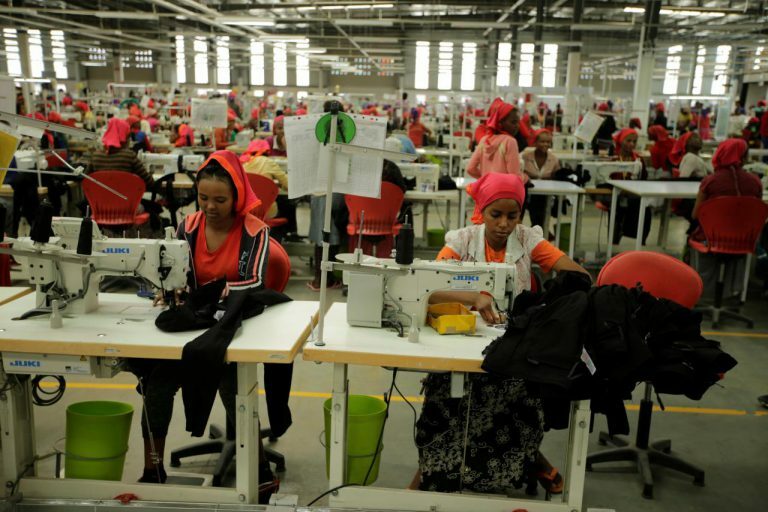 The majority of production centres are set up in developing nations, where fair minimum wage, good working conditions, and well implemented labour laws are a distant goal. A good example is factories in Bangladesh; the average cost of renting a one-bedroom apartment in Dhaka is 100$ per month and the minimum wage set by the government is 95$ per month. There is a high chance that the factory worker won’t receive the minimum wage either: there is abundant labour available and factory owners get to negotiate cheaper prices due to easy availability of labour. The state of factory workers is appalling. This blog is the first half of the journey of a T-shirt and I’ve called it ‘The Making’ because this is the production end of the story. This is the part that the most people know and/or can do very little about, but the main take-away should be a better understanding of what’s going on behind the scenes. The second half is about the retail and consumer end of the spectrum, I think it’s a potential driver for change and we have a role in it.